While some events on Earth have seemed far-fetched and out of this world in 2017, it seems Nasa has been having a grand time with success after success and a rosy future ahead. With support from the White House, Nasa has been directed to return astronauts to the Moon to further preparations for manned missions to Mars. Here are the best bits of what the US space agency has been up to over the last 12 months. Its astronauts had a pretty special view of the August eclipse. The spacecraft Cassini made a pre-planned plunge into the atmosphere of Saturn after a 13-year mission which transformed its understanding of ocean worlds – where life might exist beyond Earth. Voyager 1 and 2 are the longest operating spacecraft in deep space. They celebrated 40 years of service in September and are now 13 billion miles away and *still* going strong. Nasa’s Fermi Gamma-ray Space Telescope detected the first light ever tied to a gravitational-wave event, thanks to two merging neutron stars in the galaxy NGC 4993, located about 130 million light years from Earth. A Nasa funded telescope, Pan-STARRS1, discovered the first confirmed object to travel through the solar system from another star. 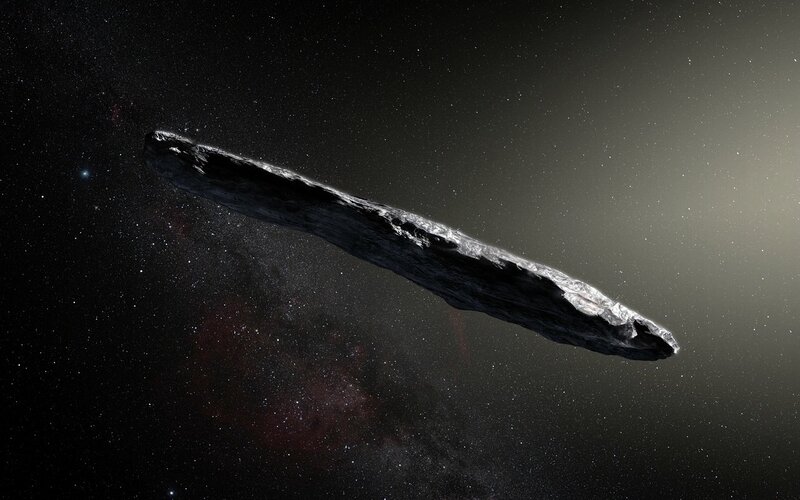 The historic discovery revealed the interstellar interloper named Oumuamua to be a rocky, cigar-shaped object with a ratio of length to width unlike any asteroid or comet observed in our solar system. Astronaut Peggy Whitson broke multiple records during an extended mission to the station. She is now the US astronaut who has spent the most total time in space – 665 days during three missions. Of course, Nasa doesn’t just focus on space. It’s technical skills and know-how can be applied on the ground too. It’s working to make cargo and passenger planes get from the gate to take-off more quickly with ATD – Airspace Technology Demonstration-2. There’s now a three-year demo phase in action after initial testing. Back in space, technology delivered to the ISS for testing includes SEXTANT – the Station Explorer for X-ray Timing and Navigation Technology. It will experiment with the use of pulsars to form a GPS-like system that can support spacecraft navigation throughout the solar system.